Since adapting the principles of the Toyota Production System to health care in 2002, Virginia Mason Health System has made enormous leaps forward in quality, safety, patient experience of care, and affordability. It has achieved world-class levels of patient satisfaction and has been honored as one of the safest hospitals in the country. 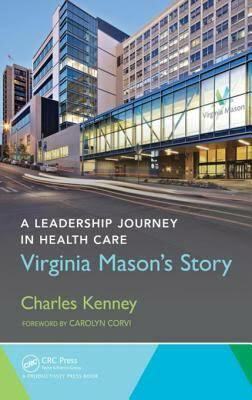 A Leadership Journey in Health Care: Virginia Mason’s Story supplies an inside look at process improvement from the world leader in applying Lean methods to health care. It presents key lessons learned as well as the best practices developed at Virginia Mason during its 12-year process improvement journey. Describing why it’s critical for leadership to be actively involved in any process improvement initiative, the book illustrates exactly what leadership looks like at all levels within Virginia Mason. It also discusses a game-changing initiative concerning respect for people. After reading this book, you will better understand the active leadership style that has propelled Virginia Mason’s success. By following the best practices and lessons learned, you will be better prepared to help your organization achieve streamlined and standardized work, sustained improvements, and increased patient satisfaction. “Extremely good leadership course. It is imperative that nurses become leaders and I would highly recommend book and course."